The downtown area of Toronto bounded on the north and south by College and Queen Streets, and on the east and west by Yonge and University, comprises what is probably among the highest priced real estate in Canada. But at the turn of the century it was the area in which nearly every Toronto Jewish immigrant resided. It was the Ward. Among the several synagogues serving the Jewish population, then numbering some 5,000, was a congregation on the east side of Chestnut Street just south of Agnes Street (now Dundas). Founded in 1888 [or perhaps later –Ed. ], the Shomrai Shabbas Congregation only recently had acquired these premises which were dedicated in the year 1900. It was in the same year that Josef Weinrib was brought over from Galicia as its first ordained rabbi. In fact, as its entire membership consisted of Austrian immigrants, it was popularly called the Oestreicher or Galitzianer Shul. According to the synagogue constitution, election of officers was held semi-annually during Chol ha-Moed, the intermediate days of Passover and Succoth. The long-time president was the late Henry Greisman, one of the founders and the wealthy owner of the King Suspender Company. His support among a large segment of the membership was so entrenched that his continued re-election was a routine event. 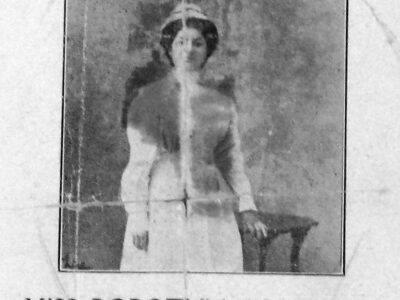 In fact, it was the same Henry Greisman whose painted portrait can be viewed on the ground-floor wall of the Jewish Community Services Building at 10 Beverley Street. It was his bequest of a substantial sum of money that made this building possible. 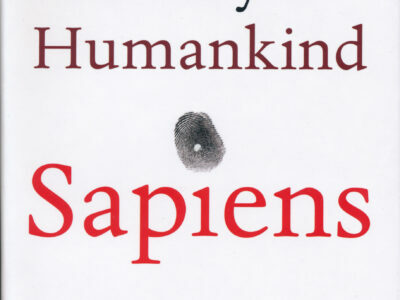 But, to get on with the story. A disaffected faction, led by the late Samuel Frieleck, began to voice objections to Greisman’s continued re-election, but could not muster sufficient support to vote him out of office. Finally, during the Passover of 1904, in anger and frustration, its members decided to hold their own elections. As a result, although Henry Greisman was again re-elected President in the official elections, Sam Frieleck was also elected “president” by his own supporters. The congregation thus now had two presidents. It was the practice in the synagogue for the president to occupy a chair on the other side. 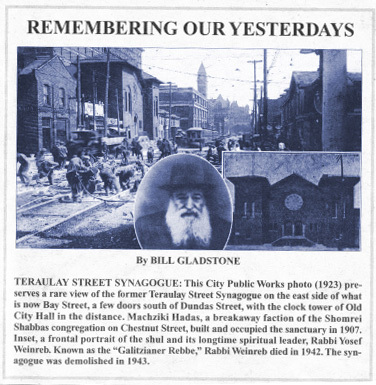 On the eve of the second last day of Passover, among those arriving early for services was a young boy who was born six years earlier on Louisa Street, in the heart of the Ward, and who attended the synagogue Talmud Torah in two dark dismal basement rooms. On entering the Shul, the youngster was amazed to find two policemen seated at the rear of the sanctuary. More police arrived, but were unable to restore order. By now hundreds of people had gathered in the street trying to gain admittance. Inside, repeated attempts by the Baal Tefillah (Moses Brody) to start the evening Passover services were drowned out by a Jewish version of the Bronx cheer. 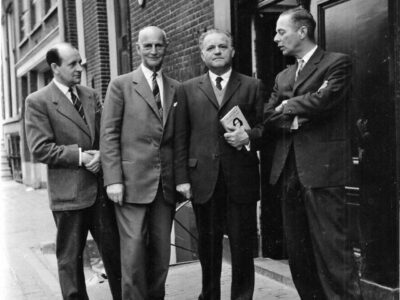 The Frielick group, unable to have their “president” seated in the president’s chair, disrupted each attempt so vigorously that in the bedlam it was impossible for those present to co-operate. When it appeared evident to the police that no services could be held, they ordered all the worshippers to leave. 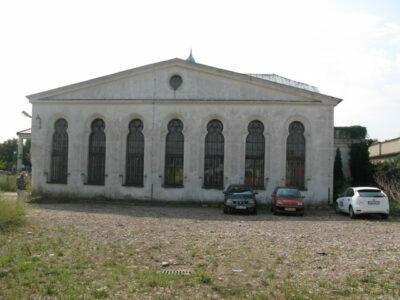 The synagogue was then locked for the remainder of the Passover festival. The split among the membership soon led to a permanent division between the two groups. The Frielick followers took their leave to create their own temporary quarters by erecting a large canopy at the rear of Reb Weinrib’s residence on Agnes Street. Regular services were conducted there for over a year. Eventually one of their group, Samuel Shapiro, donated land on the east side of Terauley Street (now Bay Street), south of Dundas for the erection of a new synagogue. 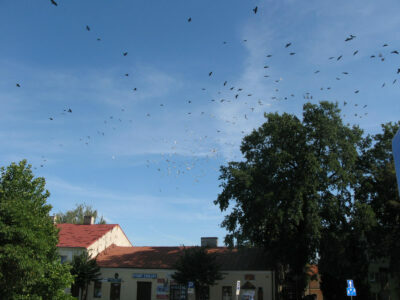 Named Machzika Hadas Congregation, it was built at a cost of $31,000. The corner stone was laid in 1905 with the dedication taking place the following year. The site of this new congregation eventually became a parking lot and is now part of the Eaton Centre. The parent Shomrai Shabbas Congregation later moved to the corner of Brunswick and Sussex, and continues to this day in relocated premises on Glengrove Avenue. 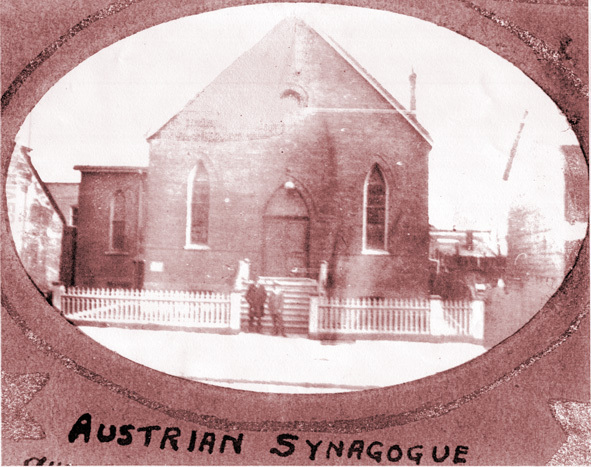 Top photo of Austrian Synagogue on Chestnut Street courtesy Ontario Jewish Archives. 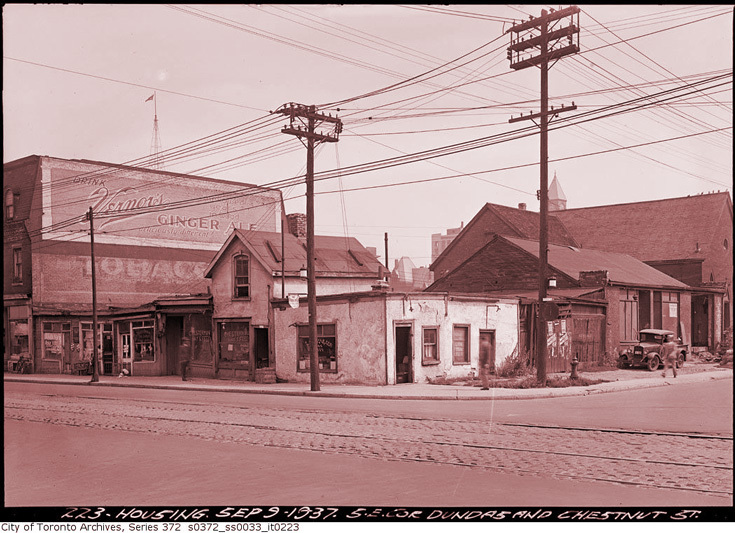 Below, southeast corner of Dundas and Chestnut Streets, Toronto, 1937, courtesy City of Toronto Archives. s0372_ss0033_it0223. ← Judische Familienforschung: World’s first Jewish genealogy society?